Before the Occidental women’s lacrosse team (5-3 SCIAC, 11-3 overall) defeated Pomona-Pitzer 11-9 April 15, they honored the only senior on the squad — Rebecca Reese. A Biochemistry and Spanish major, Reese has played lacrosse at Occidental for all four years. The season was rewarding for Reese because she has grown even closer with her younger teammates, but has also been difficult because of a season-crippling foot injury that prevented her from playing a majority of her final season. Reese was in a boot for four weeks after breaking her foot in a game a little over a month ago. A couple of days before senior night, she got it removed, making it possible for her to play for about ten minutes for a triumphant and memorable return to the field. With two league games left in the season, one against Redlands April 19, and the other against Claremont-Mudd-Scripps April 22, Reese hopes to compete in the playoffs and maybe even continue on to the NCAA tournament with her team, should the team qualify, as she did her sophomore year. “Unless something goes wrong, I’ll get to play for our first — the semifinal — game and then hopefully, if we make it to the finals, play in that too,” Reese said. Even with a major injury during her final season as a Tiger, Reese remained positive and refused to let it negatively affect her team. Reese’s dedication to the team does not go unrecognized or unappreciated. In fact, teammate Ciara Byrne (junior) attributes a great deal of the squad’s chemistry and success on the field to Reese. Christina Sabin (junior) feels similarly. Aside from lacrosse, Reese has been focusing on completing her comps for her double major, so much so that she hasn’t had time to make any official post-graduation plans. She does, however, intend to remain in Los Angeles after leaving Occidental. 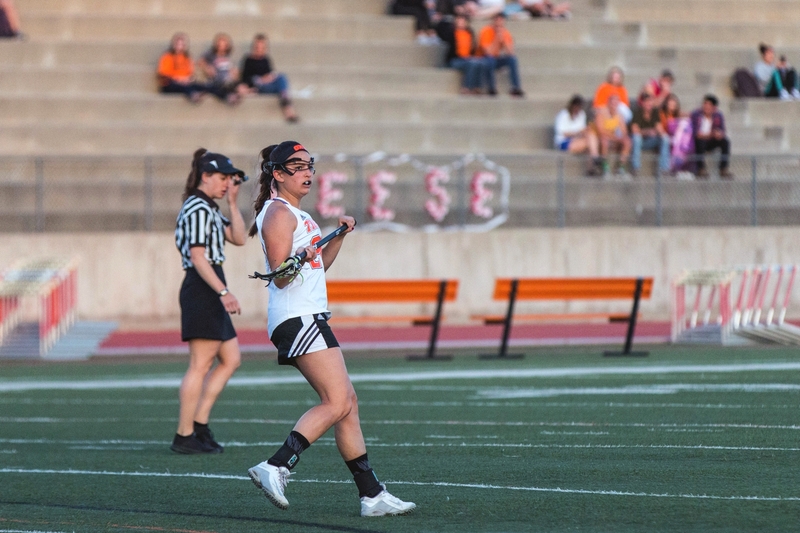 Even though her injury has been nothing short of disappointing, especially in her last year as an athlete at Occidental, it has brought to light the important role lacrosse has served in her life as a student-athlete.